This is a first! 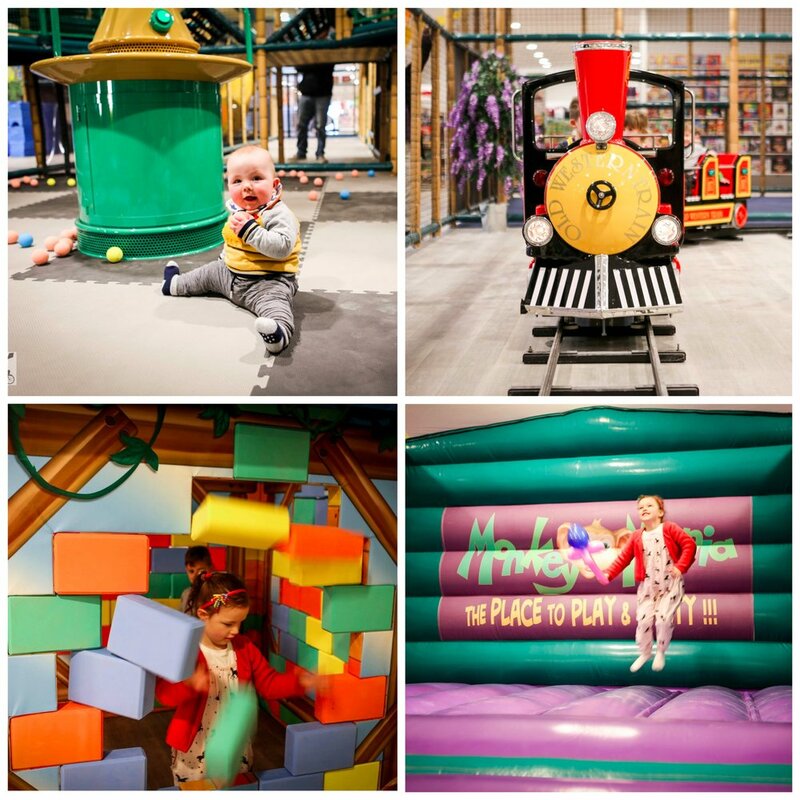 The VERY first Monkey Mania Play Centre in Myer and it is right here in Melbourne's east. Forget the old Myer book section, cafe and tv zone, because it is now full of FUN and child's play! A super roomy play centre with a structure ideal for your juniors. The soft play zone is two storeys of inter-twining fun, a handful of slides, a ball zone and plenty of things to climb. Mamma says there is stack more here with lots of different zones to occupy the kids. From the toddler zone, to the jumping castle, a brick house to build (and crash of course), a train ride, funky party zones and kinetic sand tables. Lots to see and explore and this Mamma is exhausted just watching. Lucky there is a coffee included with MY entry! There is a fully loaded cafe right here too, so it is a great way to finish off a trip to the shops ... coffee and a play at Monkey Mania! Mamma's special mention: Parties! Monkey Mania know how to party. Check out their packages here!